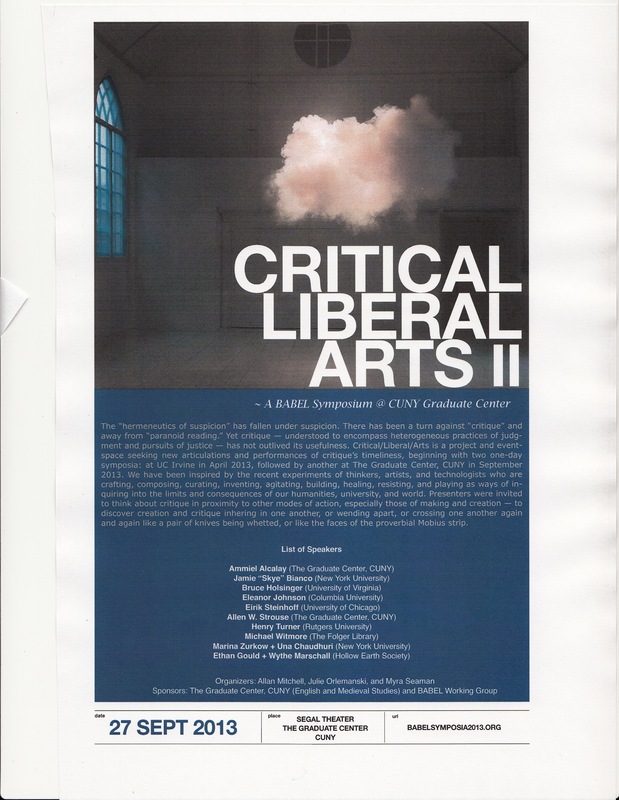 Here is the a pdf of the poster for Critical / Liberal / Arts II, a fantastic program of speakers at the CUNY Grad Center on Fri 9/27. Follow the link above for information. 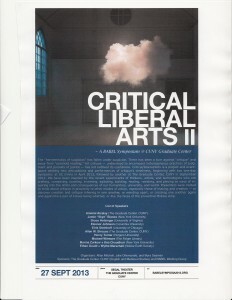 All are encouraged to attend, but please contact Myra Seaman (SeamanM@cofc.edu) to register. There is a registration fee of $35 for faculty and $20 for students or those without faculty appointments — but if the fee is prohibitive something can be arranged. I’m planning to be there myself, and I encourage as many SJU students as possible to come. Brought to you by the visionary folks at the BABEL Working Group.